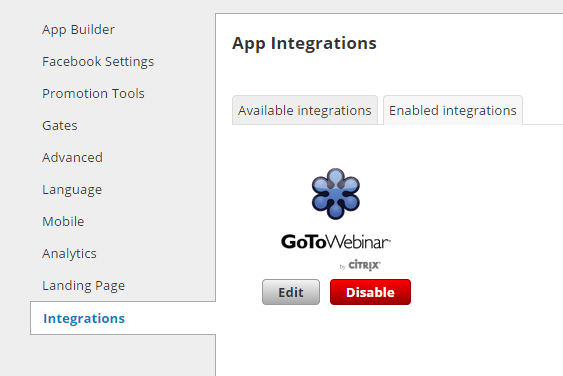 The GoToWebinar integration is within any app that offers a form (except Drag N Build which is a unique app). Simply go to the Integrations section (in left menu) as shown below. 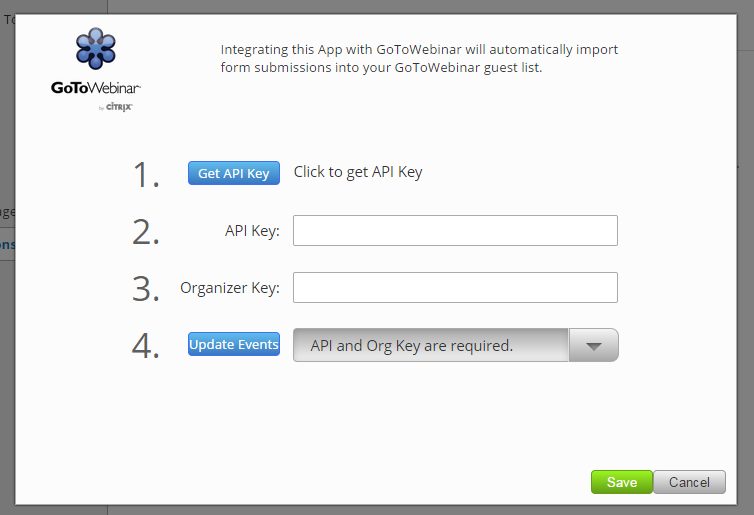 Then select "Enable" on the GoToWebinar option. This opens an input box. 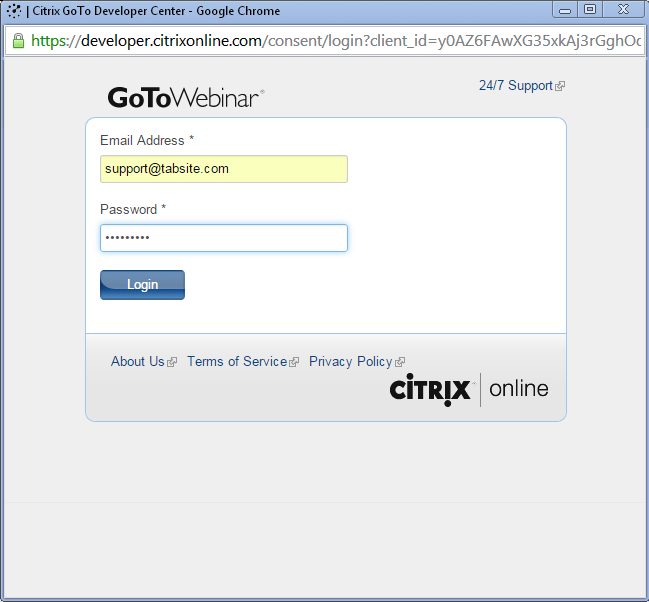 An GoToWebinar window will open for you to login to GoToWebinar. 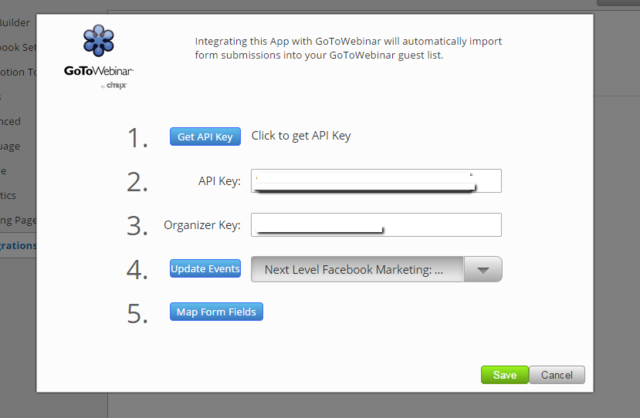 Upon login it generates your API Key and Organizer Key for Step 2 and 3. Click the dropdown menu on Step 4 and choose the event you want to update. Click Save. It will display a window shown below. Just click okay. Click Dropdown menus to designate field values. Click Save. 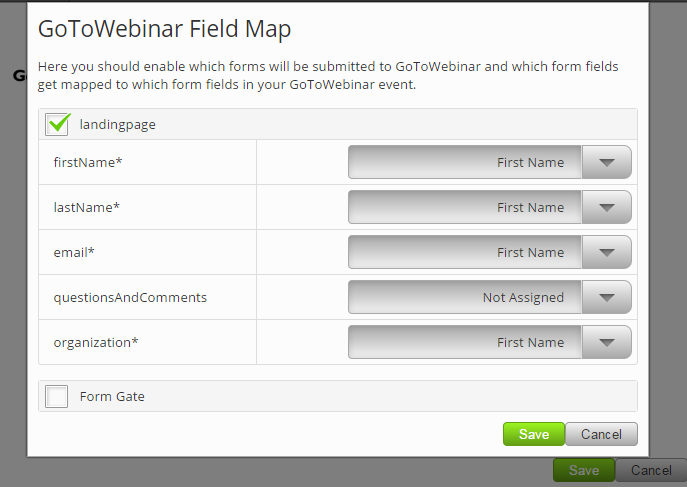 Click Form Gate box to map your form and its form fields to your GoToWebinar event. Click Save. 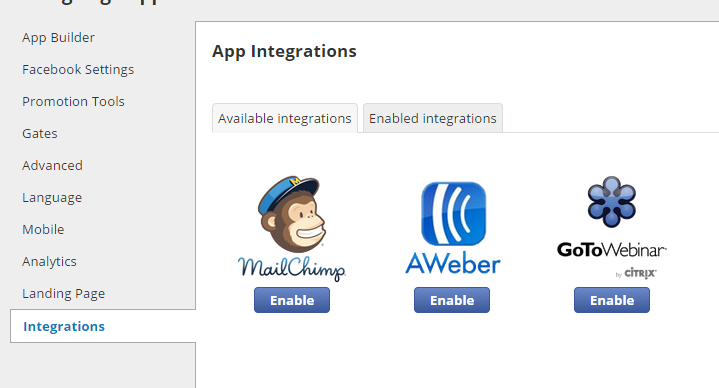 The Enabled Integrations Tab will show all the Intergrations App that you are using. You can choose either to edit or disable an application.